I don't really see the connection. There's nothing politically incorrect about just a teepee itself. If they had Indians running around in face paint and stuff, well then that might be a problem. Still, the budget won't allow it to happen regardless of any political or social considerations. Everything is so ROI-focused these days; they'll almost never build anything unless there is a clear and easily measurable Return On Investment, which a new teepee would most likely not have. Yep same reason why you won't see any new flats added in soon, they don't draw crowds like new coasters do. I think it would have to be something more than a shop. I mean, was there ever anyone in the Teepee when it was a store? I always found it deserted and, although I hate to say it, depressing in its final years. I remember when I was a kid it was fairly busy but by the mid 90s it was not doing to well and during it's last years open it was pretty much deserted. There were many times during F they didn't bother to open the Teepee at all. I think the problem is that it was near the end of the park and stores usually don't do well at the ends of a park. Usually the store near the park's entrance/exit do the best like the main street shops at Disney. While in the back area of Bizarro on media day we were able to grab a cloesup picture of the top of the Super Teepee. Compared to the base, the logs were much smaller at the apex. It would probably get wrecked if they did that. You learn something new every day! This blurb was found in an Asbury Park Press article about the 1975 opening day of Great Adventure. It was dated May 4, 1975. 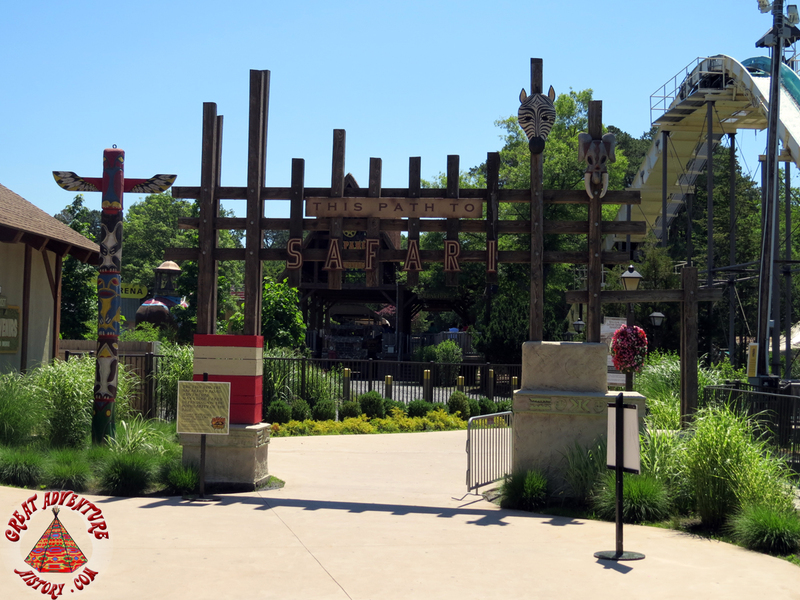 The giant teepee near the log flume is now an open air theater, thanks to a stiff wind several weeks ago. The $300,000 painted canvas cover blew off and shredded, and officials don't know if or when it will be replaced. A bluegrass band occupied it for most of the day. FYI - The pricetag of $300K in 1975 is about $1.2 million in 2009. Well that would explain why the park opted to remove the TeePee rather than fix it, 1.2 mil is a lot for a structure repair. ^ Yeah, and that is just the cost of the canvas. 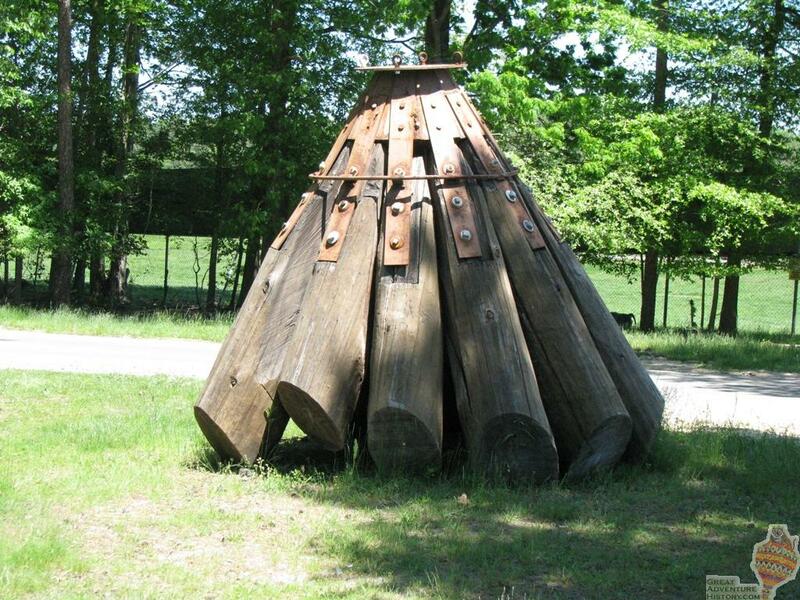 $1.2 mil would not have included the price for several of the structural logs which needed to be replaced. This blurb was found in an Asbury Park Press article about the 1975 opening day of Great Adventure. It was dated May 4, 1975. If you compare photos of the 1974 and 1975 Super Teepee, you can see they are different. The 1974 skin pattern has an extra set of yellow arrowheads around the top and the caps are different on both. Also, the 1974 canvas has much more slack between the logs which may have been part of the initial problem which caused its destruction. ^ That's very interesting. I love the bright colors on that. 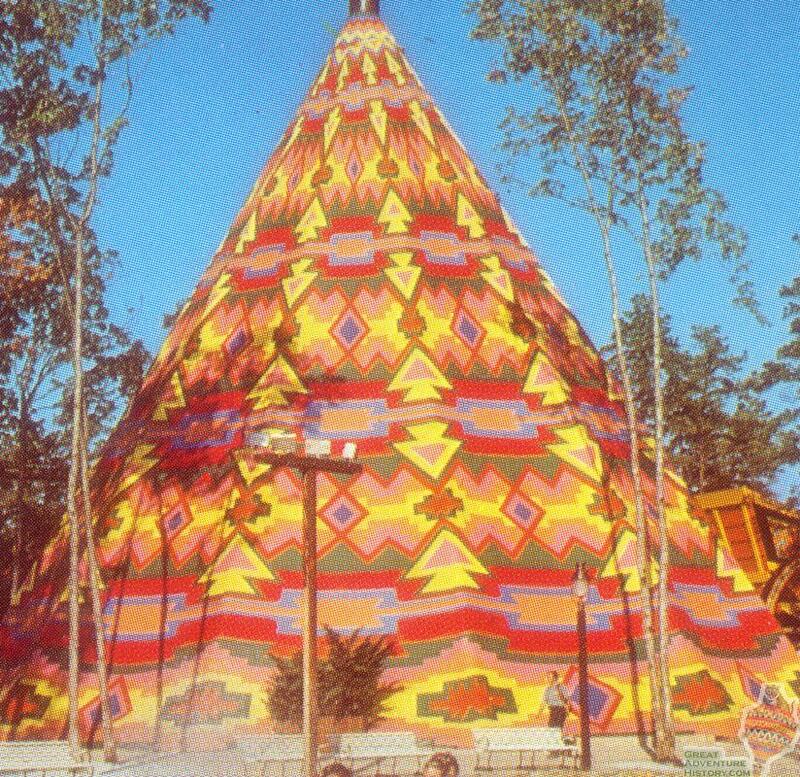 I don't think SF would spend the money on a new Super Teepee since it won't draw crowds like a new ride would. If they ever do build a new Super Teepee there will probably be a Johnny Rockets inside of it. Alright I see. Your right about the money and the crowds. And, I think your thought about placing a restaruant inside (when and if there is one) is also logical. I have always noticed that gift shops at the far ends of most parks are usually not busy while the ones near the park exit are very busy. I would like to see a new Teepee built but I don't see it happening for at least a long while. It's true, gift shops near the exits do much better because people buy things on the way out of the park instead of having to carry them around or pay for a locker to store them. 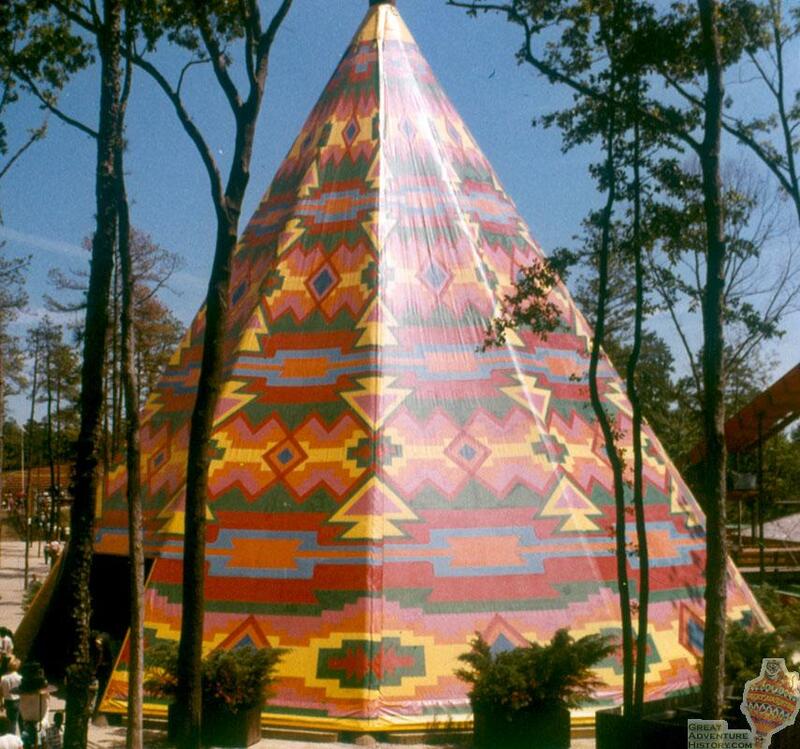 Everyone would love to see the teepee replaced, but Six Flags would never do it. They do not put that much money or creativity into buildings, especially if it would not be expected to create a large return on the investment. Agreed, For 1.2 million we can get like 3 flat rides! 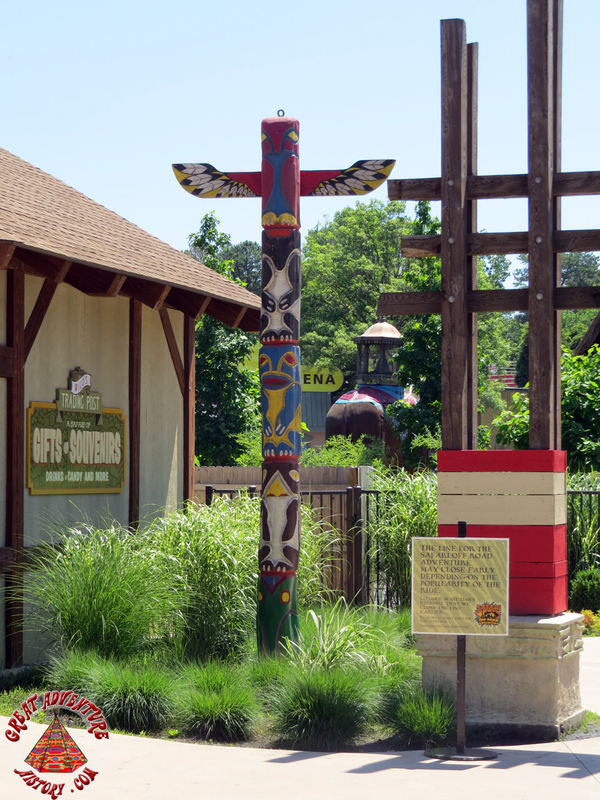 Look what has made a return to the park - the large totem pole from inside the Super Tee Pee! Nice! I'm really glad to see the park not lose connection with its roots. 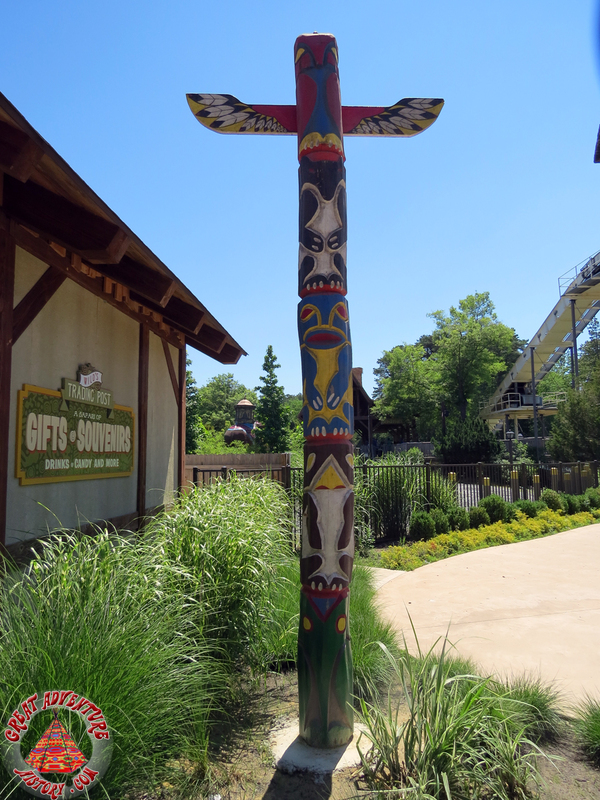 First, the Elephant and now, the Totem Pole!! It's also nice that it's VERY close to its original spot! This is why John Fitzgerald is the best Park President we've had since Warner LeRoy himself. We have an 'attention to detail" that we haven't had in long time.